You’d be surprised of what you can find on the internet with the help of curiosity, intrigue and in this case, a Tumblr account and an ear hungry for new music. That’s how singer, Ari Lennox popped up on my radar, but she’s been doing this for a while, and MAN, she sounds good. Her song “Cold Outside” was the first song off of the DOPE by Bedford Box Office (Side A), a mixtape for a concert series that profiles a diverse array of up-and-coming artists who have a chance of breaking big in today’s industry. And for a young artist out of Washington, DC, Lennox deserves that spot on the DOPE mix. Lennox’s sound has a more mature vibe when compared to more modernized artists. “Cold Outside” is a song about bringing someone over and doing the do, but she does it in such a soulful fashion with the instrumentals to the point where the song sounds refreshing and cool. What really makes Ari Lennox a standout is her voice. Her vocals brings the music to life, and songs like “La La La La” provides solid evidence of how to use her voice to add so much soul to her lyrics. Lennox uses her voice in several video covers of popular songs from Beyonce’s “Drunk in Love” to Frank Ocean’s “Thinkin Bout You.” Her Youtube account has over 1 million views. Ari Lennox definitely is an artist to look out for in the future. Artists like her and now former DMV native, Kelela, are showing promise for soulful music coming out of the Diamond District. 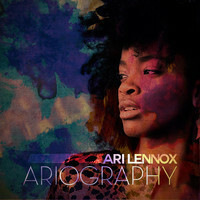 Check out Ari Lennox’s EP “Ariology“! Please join our Fan Page on Facebook and follow the Ladies of the Mix on Twitter at @TheMellowMix @Shani_Elliott @TheRealCynDiva & @TraiChic and our Resident DJ, @DJHarveyDent. The Mellow Mix is an iTunes Affiliate. You can purchase your favorite Indie Artists by clicking on links on The Mellow Mix to their music on iTunes! Support Indie Music; They make it for the love of music and the love of you! Tags: "The Mellow Mix", @DJHarveyDent, @shani_elliott, @therealcyndiva, @traichic, Ari Lennox, Ariology, CynDiva, Shani Elliott, Trai Chic, Vance Brinkley. Bookmark the permalink.